Like the lush romance of its namesake, the Venezia retractable awning combines both utility and beauty. The sleek Venezia, with its rounded front and back and its gentle fluting, is a fluid and sleek lateral arm awning, with a sturdy and dramatic frame. The Venezia frame is Qualicoat® powder-coated aluminum, with German Flexon® brand stainless steel chains in the arms for additional strength and support. 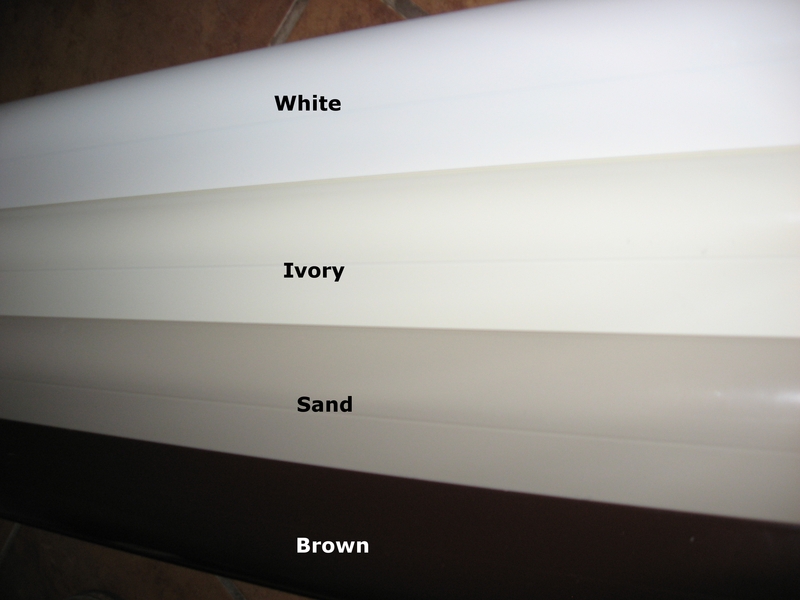 As with all lateral arm awnings from RetractableAwnings.com, the Venezia can use vibrantly-colored solution-dyed acrylic fabrics, which are a softly-textured and resistant to mildew and stains. Venezia can also use Soltis fabrics, a kind of mesh that filters light so that the awning is almost more like a hazy screen. 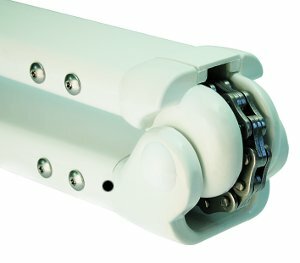 The torque-sensing motor continues to pull the arms in and roll the fabric up, even after the awning is fully retracted. This means that even over time, as the fabric naturally begins to stretch, the awning is always closed tightly, with no gapping or sagging of the front bar. The Venezia is also the only full cassette retractable awning available from RetractableAwnings.com. The cassette completely encloses and surrounds the awning when it's closed so no hardware and fabric is visible. The awning and its fabric are completely protected. This is an ideal tool for long-term winter storage, bird nesting, marine locations, or simply to protect the awning when it's not in use. Since the Venezia model is a full cassette it does not have a valance. Fully enclosed unit to protect the awning from snow, birds, squirrels, insects, wear, and weather including rain.